with full details of their histories. 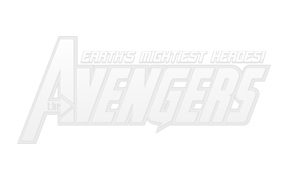 The major Avengers, each on an individual page, with images. with membership status and issue they joined. A quick checklist of who's in what issue-- heroes, villains, guests; as well as who joins, who quits, and more. Tallying the appearances made by Avengers characters in various books and series starring the Avengers as title characters. In what issue of what comic did they make their first appearance? An issue-by-issue breakdown of the team's core rosters. Avengers members participating in a story, but not part of the core team at the time. Heroes closely associated with the team, but not official members at the time. Appearances of characters who have never been official members of the team. From Jarvis to the many other supporting characters who have hung around the Mansion over the years. Bring on the baddies! What issues did Ultron appear in? It's all here! Avengers members who have also participated as members in other super-hero teams. A special section reviewing the many appearances of perhaps the Avengers' greatest foe-- the adamantium terror known as Ultron! by Rob Clough. A special section reviewing the many appearances of perhaps the Avengers' OTHER greatest foe-- the Mad Master of Time known as Kang! by Rob Clough, with Owen Erasmus, Michael Proteau, John Simons, and Lonni Holland. The baddies who make life so miserable for our heroes--and usually for themselves! As selected by vote of the Avengers Mailing List (with great cover appearances). An overview and analysis of the Avengers' chief team of super-foes, by Sean McQuaid. The Crimson Cowl's Various Teams, by Sean McQuaid. What we've got here ain't nothin' but good old fashioned Communism! A quick look at the enemies who have made the Avengers see Red over the years, by Sean McQuaid. He was Jim Shooter's answer to Superman battling the Avengers. A collection of Supplemental character files from Sean McQuaid's Earth's Mightiest Annotations.